It’s that time of year again! Time to celebrate and be festive with coworkers, clients, friends, and family. Whether you are in charge of planning a big corporate banquet or hosting a small holiday gathering for your loved ones, Top-Notch Talent is here to help! Top-Notch Talent has been providing talent booking services since 1980. Over this time, we have represented professional entertainment of all kinds. We have earned our experience and have helped to make thousands of successful events happen seamlessly. Are you orchestrating a black-tie gala or an intimate classy soiree? Be creative and you will be able to please even the most demanding guests. Have fun decking the halls with your own ingenuity. Start with planning your event. Be organized, and develop a timeline. Write down your ideas for decor, foods, beverages, small gifts, your guest list, and most importantly – the entertainment. Choosing the right entertainment for your holiday party or event does not need to be a challenge. You can decorate with fresh flowers, garlands, lights, and greenery. The theme can be classic, whimsical, modern, colorful, or neutral. Small gifts for your guests can include cute customized calendars, specialty jams or jellies, candies, candles, ornaments, or fruits. A company holiday event is a very important moment for your organization. It is the occasion to celebrate your company, your colleagues, and your company’s achievements over the past year. The event can help to set the tone for the new year and create a sense of community and camaraderie. 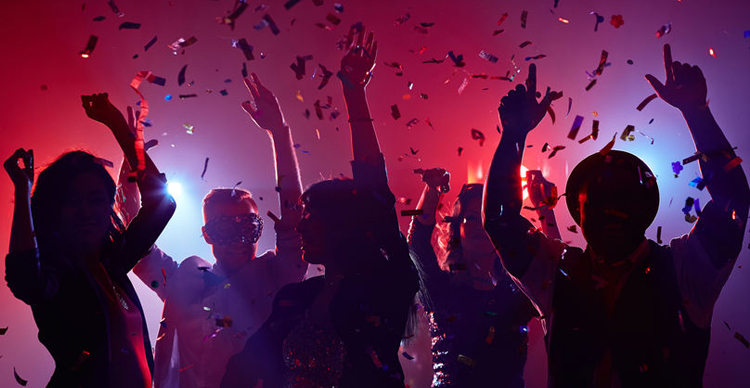 You will need to choose the right venue for your party. Plan the location for the occasion to compliment the uniqueness of your family, your business, or your organization. You may decide on renting a space at a hotel with experienced event staff on site to help you. Be sure to confirm that there will be enough staff to support your event’s requirements. You will want to avoid having your guests wait in long lines for parking, checking their coats, or getting food or drinks. Design a tailored menu that all of your guests can enjoy. Food is the main part of any gathering so it is ideal to offer a wide range of options that will appeal to all palates and dietary needs. You may want to take a break from the traditional and offer a wide variety of foods and snacks placed throughout the area. This is a great way to create curiosity among your guests, and encourages people to move about the room to try a little bit of everything. Concentrate on the details to make the event fun, safe, and memorable. Have accommodations nearby and local taxi services on speed-dial for guests that may imbibe in too much of a good time. Serve up some specialty teas and coffees as the night goes on. It is imperative to ensure that your guests do not get behind the wheel if they had been enjoying several adult beverages. The entertainment should fit the occasion and the space. Music is always an important element of any celebration. Whether choosing a solo performer, a party band, or a DJ – you may want to play a variety of genres from several decades to please the individual tastes of your guests and keep the fun mood going. Choose a band that will keep up the celebratory spirit and get people dancing. You may want to book a band as well as a DJ. A talented band will please your crowd and the DJ can help maintain the mood in between sets and create the vibe into the late hours. Holiday parties are a great way to show appreciation to your family, friends, coworkers, or employees – so think about what music they would enjoy the most. If you have an older crowd or offering a sit down meal, consider a classical performer, a swing band, or a jazz band. A quality entertainment booking agency like Top-Notch Talent can provide you with options that you may not have thought of. We aim to please and many of our clients come back to us year after year. We will get to know your preferences and needs and make useful recommendations based on our years of professional experience. Contact us to learn more and to get the help, service, and the great entertainment you are looking for.